I have recently been reading St. Maximus the Confessor’s commentary on the Lord’s Prayer, and it, like all of Maximus’ writings, rewards careful (and prayerful) reflection. 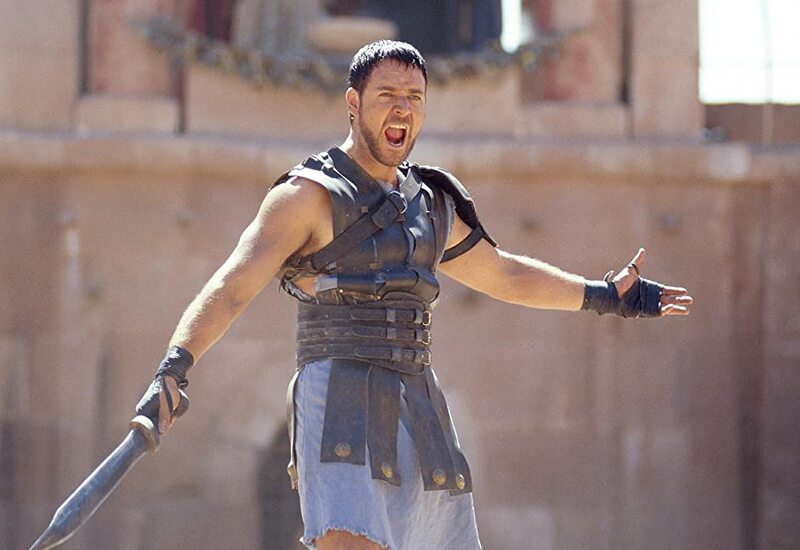 If you don’t know about Maximus, I’m not talking about this guy (but he was pretty awesome too). Maximus was a seventh century Byzantine monk, theologian, and controversialist. He is most well-known for the pivotal role he played in the monothelite controversy—the debate over the number of “wills” in the incarnate Christ—which culminated in the sixth ecumenical council (the Third Council of Constantinople, 680-81) and its proclamation that Christ does in fact have two wills (dyothelitism) that correspond to his two natures. Maximus was so convinced of this position that he was willing to endure torture (he had his tongue cut out and his hand severed) and ultimately the exile that took his life. As such, he is referred to as the “Confessor,” which in Eastern Christianity refers to one who suffers for the sake of orthodoxy. But Maximus’ theology is much richer and wider than this single doctrinal controversy. Indeed, his work is nothing less than cosmic in scope, in that he sees the whole of reality—everything from personal piety and the church’s liturgy to the created order and the grounding of abstract properties—summed up in the Incarnate Logos and the Triune God that he reveals. In becoming incarnate, the Word of God teaches us the mystical knowledge of God because he shows us in himself the Father and the Holy Spirit. For the full Father and the full Holy Spirit are essentially and completely in the full Son, even the incarnate Son, without being themselves incarnate. Rather, the Father gives approval and the Spirit cooperates in the incarnation with the Son who effected it, since the Word remained in possession of his own mind and life, contained in essence by no other than the Father and the Spirit, while hypostatically realizing out of love for man the union with the flesh. Christocentrism: For Maximus, the incarnate Christ provides the key that unlocks the mystical knowledge of the whole Trinity. The Son reveals the Father and the Holy Spirit because, even though the Son alone is incarnate, the other divine persons are fully present in the Son, in whom the whole fullness of deity dwells bodily. Thus, true Christocentrism can never be Christomonism, because Christ reveals the whole glorious Godhead. Perichoresis: As Maximus argues, this Christocentrism is predicated upon the mutual indwelling of the divine persons. The Cappadocian concept of perichoresis is often misused in contemporary Trinitarian thought when it is leveraged as a kind of catch all, meant to solve the problem of divine unity in social or relational models. But this misuse should not cause us to jettison this crucial insight. Perichoresis is not the interpenetration of distinct divine agents but the intimate sharing of life together in the numerically singular divine essence. Inseparable operations: Maximus argues that the incarnation is not an act of the Son alone but of the whole Trinity in unity. The Augustinian insight that all of the external acts of the Trinity are indivisible is echoed here by Maximus. It is not enough to say that the Father sends the Son or that the Holy Spirit is the agent in his virginal conception; the Son himself also “effected” the incarnation. The Trinity acts in unity to bring about the mystery of the Word-made-flesh. Appropriation: Having said that, Maximus is also careful to safeguard against theopaschism or patripassianism, by maintaining that the Son alone is made man. Incarnation is properly appropriated to the Son alone, but this truth should never be pitted against the indivisible divine act of incarnation. The doctrine of inseparable operations and the doctrine of appropriation must be held in tension. Extra Calvinisticum: In becoming incarnate, the Son did not surrender his divine “mind and life.” He continues to share in the selfsame divine life as the Father and the Spirit, even in his incarnate state. This doctrine, which came to be known as “Calvin’s extra” in the Reformation debates over the presence of Christ in the Eucharist, is actually a much older teaching. Indeed, as David Willis has suggested, the doctrine is more properly titled the extra Catholicum or the extra Patristicum because of its near universal acceptance in classic Christologies. What a rich paragraph! If you have never read Maximus, you should remedy that. You might start with this selection of his spiritual writings or this collection of his Christological reflections. For secondary sources, you might try Balthasar’s classic treatment, Andrew Louth’s introduction (with several important translations of Maximus’ own writings), or the recent work of Paul Blowers. As you might guess, Matt, I really enjoyed this. John of Damascus’s extended use of perichoresis draws heavily on Maximus, as perhaps is well known. Would strongly recommend Brock Bingaman’s ALL THINGS MADE NEW (Pickwick), which brilliantly puts Maximus and Moltmann is conversation. Moltmann writes the preface. Whoops! Called Luke by his friend Matt’s name. Guess you two are permanently linked in my mind after meeting you both at Biola a few years back. That happens a lot, Charles 🙂 Thanks for reading and for the recommendation. I just started reading his On The Cosmic Mystery Of Jesus Christ. It’s excellent. Evangelical Calvinist worthy even.